The studio provided me with a free copy of the Blu-ray I reviewed in this Blog Post. Synopsis: The renowned Sir David Attenborough narrates the journey inside a world of dynasty power struggles and family treachery that’s more dangerous than any work of fiction. Follow the lives of five animals and their families as they unfold, day-by-day, hour-by-hour, where the tiniest incident may end up having huge consequences on their future. Their chances of success depend on their own strength, their alliances, and the power of their families. 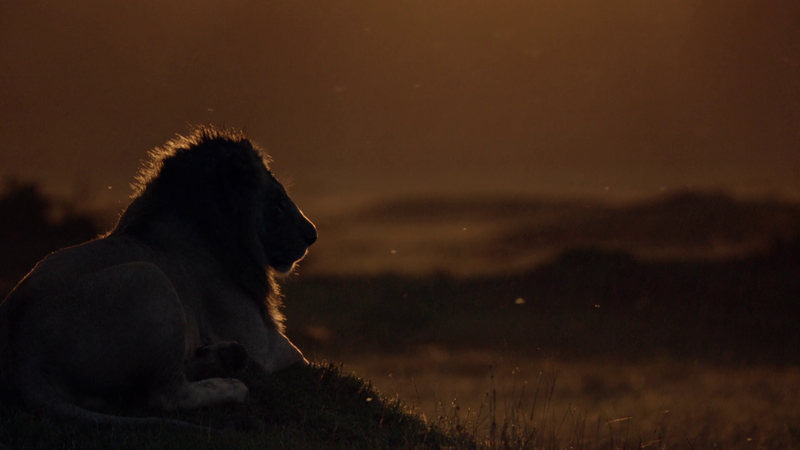 This series shows what an animal must do to create and maintain a dynasty, and leave the most important legacy in nature. Quick Hit Review: The Dynasties documentary is incredibly well made telling engaging and interesting storylines for each of the episode’s subjects, albeit some more fascinating than others, with my personal favorites being the ‘Chimpanzee’ and ‘Painted Wolf’ episodes. Together with David Attenborough’s wonderful narration, this is a great mini-series worth binging over the course of a day. This four disc set (2 BDs, 2 UHDs) comes housed in a standard 4K case and comes with a semi-glossy slip cover. Dynasties: On Location (50:31) is a behind-the-scenes documentary showing just how the documentary mini-series was shot. 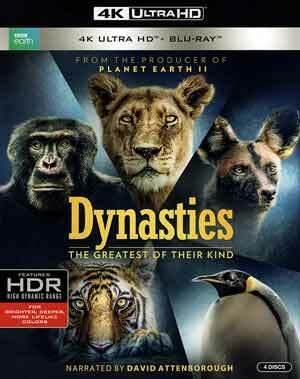 BBC Studios America releases Dynasties onto the 4K Ultra HD format (along with the Blu-ray) where it’s presented with a 1.78 widescreen aspect ratio and given a 2160p high-definition transfer (1080p for the Blu-ray). The picture quality is excellent on both formats, colors are vivid (aided with the HDR for the UHD) and detail incredibly well defined and sharp, bringing nature to life in your home. 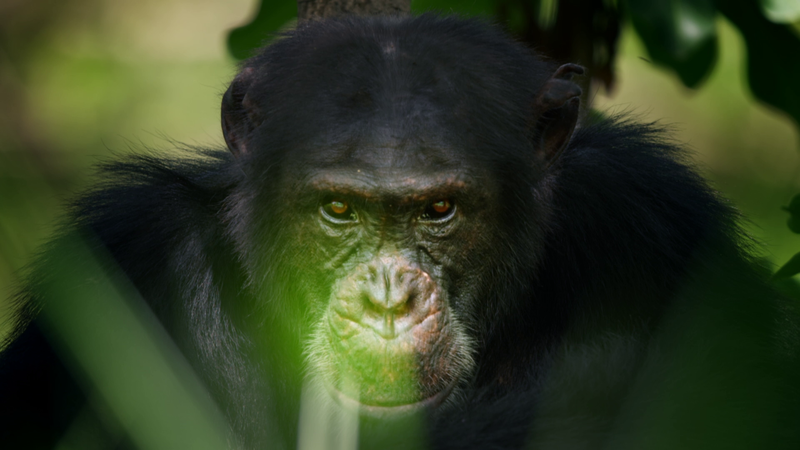 Each episode comes with a Dolby Atmos track which really shows off the depth within the animals’ environment from birds chirping in the trees, the guerillas paws walking through the forest and their terrain. It’s an immersive aural experience. 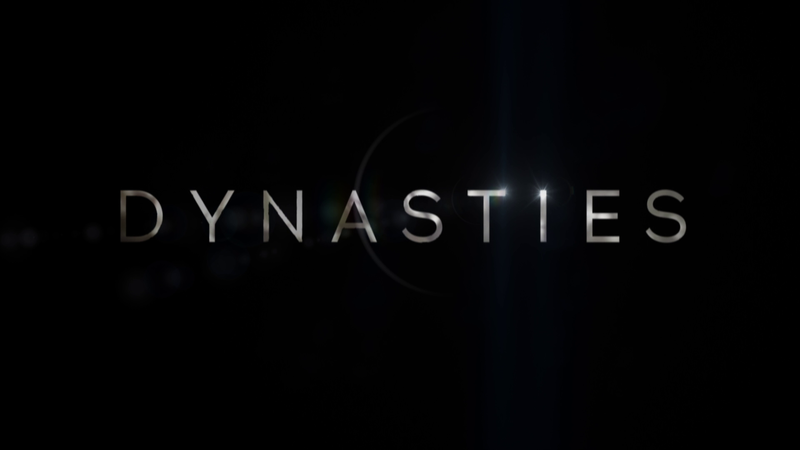 Overall, Dynasties is an incredibly well made documentary mini-series featuring engaging storylines with the animals and with only 5 episodes, this is worth binge-watching over the course of a day. The 4K UHD/Blu-ray release offers up excellent video/audio transfers and a good set of featurettes on every episode.